Domestic Cleaning Services in Durham! We’re your local Merry Maids business and we specialise in providing Domestic Cleaning Services in Durham. We are the industry leader and pride ourselves on ensuring that our customers get a thorough clean each and every time. We offer weekly, fortnightly, monthly and one-off cleans. One-Off & Spring Cleaning Services in Durham – as required by you! Many years experience in providing domestic cleaning services in Durham has taught us that every home is as unique as the people living there, thus we customise our domestic cleaning services in Durham to suit your home and your lifestyle. Price for the job to be completed, not per hour. We do not price over the phone – it’s in our interest to give you the best possible quote by coming out to see your property and finding out your requirements. So whether you are looking for a regular domestic cleaning service in Durham either weekly, fortnightly, four weekly or possibly a one off clean, Merry Maids Durham home cleaning services can help. We also hold a Bark Certificate of Excellence for your peace of mind! Merry Maids Durham began trading in 2002 and is owned and operated by Debbie Atkinson. Debbie has been in the cleaning industry for several years and certainly knows a trick of two about cleaning. On establishing her business, Debbie went on the specialist Merry Maids academy where the “Merry Maids” way of cleaning was taught to her so that she could share it with her new maids. 14 years later, Debbie now runs her successful Merry Maids Cleaning business in Durham and employs 8 maids all of whom are specially trained, insured, uniformed and have been vetted before going out to clean the homes of Durham. If you would like to find out more about Merry Maids Durham, please do not hesitate to give local owner, Debbie a call on 0191 386 6465. Cleaning your home can take up a lot of your time. If you lead a busy lifestyle, whether through work, family or perhaps spending life how it should be spent, then let Merry Maids Durham take care of cleaning your home. We can carry out a regular cleaning service in Durham on a weekly, fortnightly or four weekly as required and we even supply all our own cleaning equipment and materials! On every clean we use our specialist products that not only do an exceptional job, but they smell fantastic too. There is nothing better than returning to a home that is clean and smells fresh! Here at Merry Maids Durham, we do not give quotations over the phone, we come out to see your property and to find out your requirements in person. 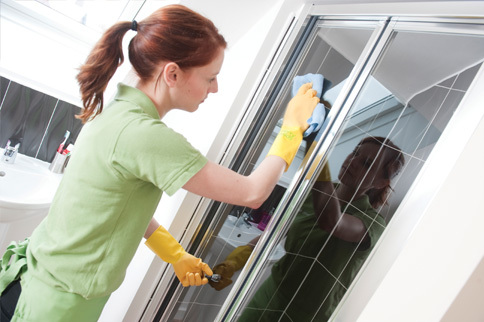 In doing this, we are able to give a much more reflective and realistic domestic cleaning service based on your requirements and the specifications of your home. This is because every home is different! To arrange your free quotation, please give us a call on 0191 386 6465 or complete an enquiry form HERE. Although it is known as a Spring Clean, Merry Maids Durham can provide one-off cleaning services in Durham any time of the year. We all have good intentions to give the house a blitz, but little time and a hectic lifestyle can result in the Spring cleaning ritual taking a backseat. …then Merry Maids Durham can help. Here at Merry Maids Durham we know that each property is as different as the people that live there so we offer a bespoke quotation service, tailoring our domestic cleaning services in Durham to your requirements. We even clean your oven and your fridge with no extra charge. To book your full, free quotation for one-off cleaning at your home in Durham, call 0191 386 6465 today! Merry Maids are experienced at working with letting agents to help keep their clients and property owners happy. All too often property owners are faced with the hassle of redecoration and deep cleaning at the end of a tenancy in order to get their property back into a rentable state. That’s where we can help. 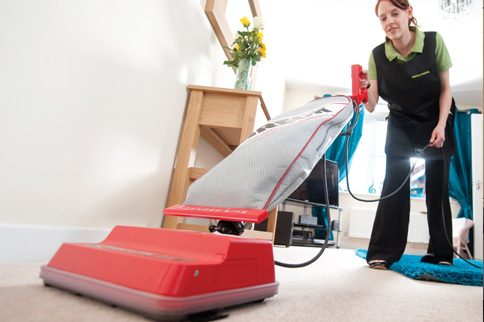 We have designed our End of Tenancy cleaning services in Durham to provide you with the best possible service. Our cleaners know how important it is to leave the property as immaculate as possible whether people are moving in/out or selling a house. We are also happy to offer a domestic cleaning service in Durham to landlords and letting agents to clean communal areas on a regular basis. 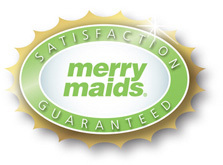 Merry Maids Durham do not have any current special offers. Please call us to arrange a FREE quotation. Please pass on my thanks to the team, they did a brilliant job whilst we were away. It was great to come back to a house that was immaculate. Just arrived home to a beautifully clean house yet again! The girls are fabulous. Please pass on my thanks to them all.